Show off your eco-friendly attitude in your home! Set of four green/blue place mats. 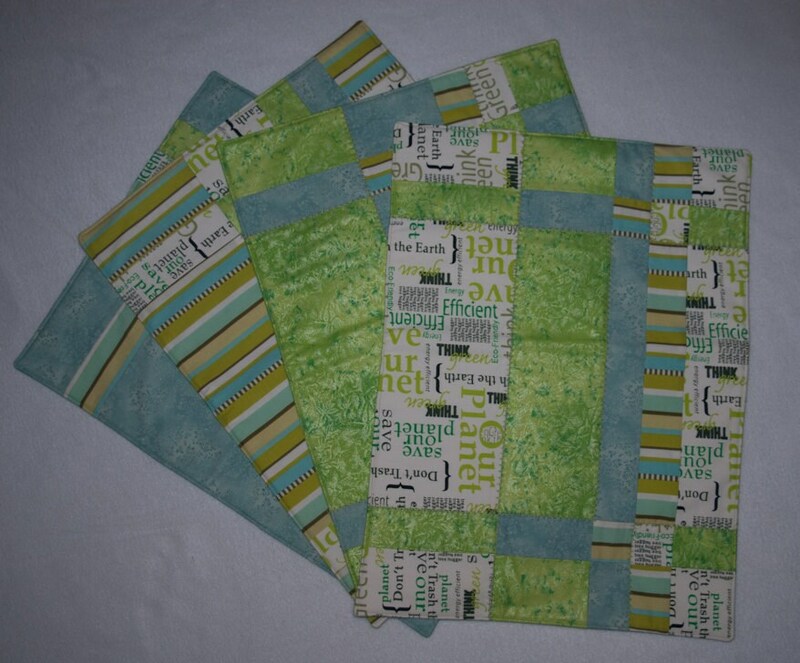 Patterns feature Eco-friendly sayings, and soft greens and blues.